The Vive’s development is progressing quickly. 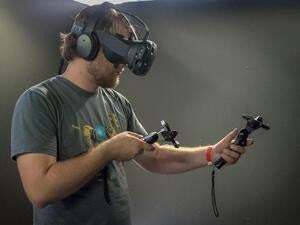 It was only in March when HTC said it was working with Valve, the video game software maker, on building a virtual reality headset. At that time, HTC, known as a smartphone maker, said a developer edition would come out a few weeks later and a consumer headset would be available by the end of 2015. 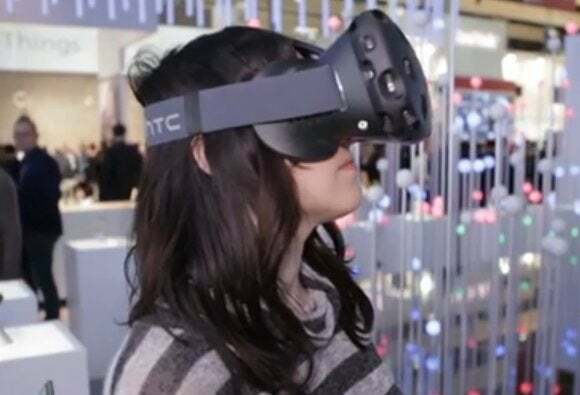 Committing to getting the Vive in the hands of consumers only a few months after revealing the hardware is a “big statement” for HTC and the company is “aggressively” working toward meeting that goal, Gattis said. HTC expects to ramp up Vive development efforts in the first quarter of 2016, he said. The Vive isn’t the only virtual reality headset expected to go on sale in the coming months. The Rift from Facebook-owned Oculus VR is scheduled to launch in early 2016. The cost of these devices, which will both need to be tethered to a PC to work, is unknown. HTC expects the Vive’s room scale tracking feature to make the headset stand out from rivals. This technology lets any movement a person makes in the real world appear in a virtual environment. With room scale, a person will be able to walk around a virtual world instead of just viewing the scene, Gattis said.